The Camino de Santiago has already reached its equator in 2017 and after the record figures recorded in the spring months - especially in April - the total number of pilgrims who have arrived at the Cathedral of Santiago is finally at 112,120. These data at this point in 2017 represent an increase of 23.3% compared to the same period of the last Jacobean Year in 2010 and 11% compared to the historical year of greatest influx of pilgrims on the Camino de Santiago, 2016. The year 101,050 pilgrims were registered by this time, so this year, if growth numbers are maintained, we could reach another absolute record of popularity of the Jacobean route in December. 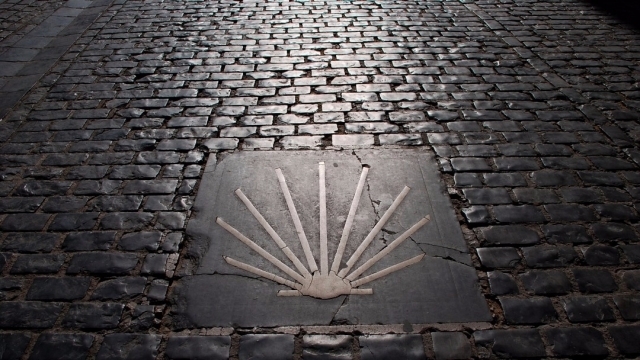 The impressive month of April has been one of the responsible for the good figures in the Camino this first semester; This year has experienced a boom from 15,100 pilgrims from 2016 to 26,928. For its part, the months of May and June have not been left behind with the trend of growth and for example, June has concluded reaching 41,620 pilgrims in total. The counterpart of these first six months was found in March, which suffered a decrease compared to the same month of 2016, with 5,891 less. The most chosen route by pilgrims during these six months has been the French Way, which represents 62.9%. As the summer months approach, French gradually increases its share compared to other routes such as the Portuguese Way, which in these six months have covered 17.8% of the total, or the North Road, with a 5.5%, according to data from the Pilgrim's Office. Para muchos puede ser solo un numero estadistico, para mi la realización de cumplir mi sueño. Llegué a Santiago de Compostela el 3 de junio luego de 729 km desde Pamplona.